It’s Minnesota Month at Top Ten and all Minnesota made wine, beer and spirits are on sale. We have a considerable amount of great beverages choices from the Gopher State. We also have a lot of Minnesota expats who have taken up key positions in the wine world; as winemakers and winery owners. Scott Neal, a native of Cannon Falls is one of those who has made a big mark in the Willamette Valley wine trade. 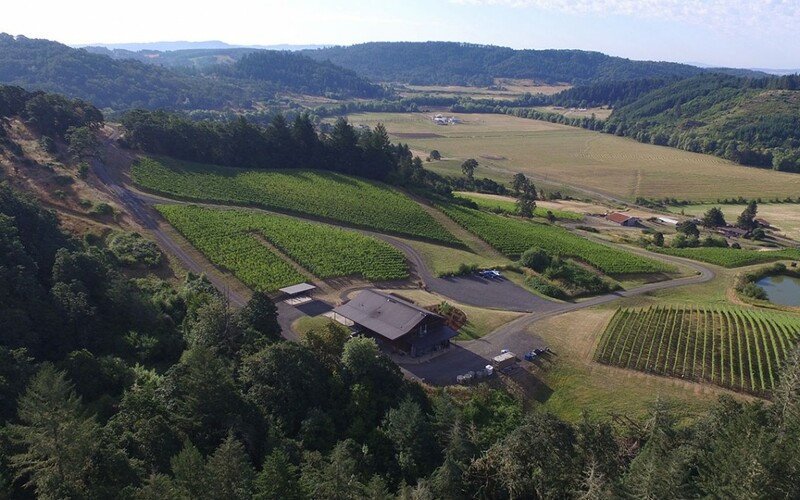 He and his wife Lisa own the Coeur de Terre winery in the foothills just to the west of McMinnville, Oregon. They have a 92-acre property which they purchased in 1998. They grow Pinot Noir, Pinot Gris, Syrah, Riesling, Chardonnay and Gruner Veltliner. The property has proven to be both a great place to grow grapes and make wine and raise kids! We want to give you the opportunity to try some of the Coeur de Terre wines this Saturday at our stores. This vintage offers bright and deep red color and lures you in with its signature Coeur de Terre earthy aromatics, dried herbs followed by notes of cherry and raspberry. It shows a nice structure with fine tannins and round mouthfeel. Between racy acidity and depth of fruit that dances on the palate, this Pinot Gris hits the mark with hints of grapefruit rind, peach pit, honeydew melon and orange blossom on the nose. The initial attack on the palate shows its playfulness, with hints of clementine, peach flesh, and passport melon. This wine will be great out on the deck on a hot summer day, with a simple summer salad, or paired with a lemon infused roasted chicken. Coeur de Terre Rosé Rustique is a blend of 50% saignée (free run juice that has been in contact with their skins for a limited time) from their estate Syrah and 50% Pinot Noir fresh pressed grapes from their neighbor Stony Mountain Vineyard in the McMinnville AVA. The nose presents an alluring blend of cranberries, raspberry, cherry and freshly cracked grape cane. On the palate, this dry rosé makes it a great match to a variety of foods, including dishes with some spicy notes.